I know silly question right? 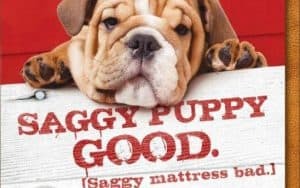 How can my mattress possibly be gassy since it can’t eat beans or cabbage? Obviously that is not the gas I am referring to. The “gas” released from your mattress which I am referring to should be cause for concern. Not the type of concern that makes you paranoid and having you feel you should live in a bubble. But, the type that should pique your interest and cause you to look further into this matter. There are 3 questions I want to answer as it pertains to mattress Off-gassing. Simply put, off-gassing is the release of chemicals and toxins in the form of a gas. Have you ever been in a room that was recently painted? Well, that nasty smell you are breathing that is causing you to feel nauseous and dizzy is the off gassing of toxic chemicals from the paint. It doesn’t take a rocket scientist to know breathing in those fumes can be detrimental to your health. So paint is an obvious culprit when it comes to off gassing. But what about your mattress? What most people don’t realize is the majority of mattresses manufactured today are made with harmful chemicals. So where are the chemicals hiding in your mattress? 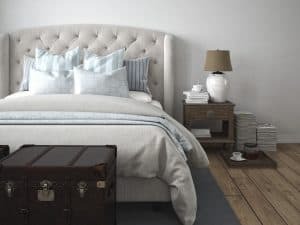 The chemicals which are known as Volatile Organic Compounds (or VOCs) can be found in the foam, the fire retardant, or the adhesive used to glue the inside of the mattress. The most common material used in mattresses today is polyurethane foam. Whether it be traditional foam or memory foam, they are both Polyurethane foam. However, memory foam has added chemicals to enhance its elasticity and viscosity. I know big and confusing words but the chemicals are added to give it that slow response. Polyurethane foam contains chemicals such as Toluene Diisocyanite which has been known to significantly increase incidences of tumors in the pancreas, liver, and mammary glands during animal testing. Other common chemicals are Benzene (known Carcinogen) Polybrominated Diphenyl Ether (PBDE) known to cause cancer and thyroid problems and happens to be banned by the European Union. These are just some of the chemicals in polyurethane foam. And then you have the fire retardants. Most major manufacturers don’t disclose what is in their fire retardant because they consider it a proprietary trade secret. Trade secret…. yeah sure “trade secret.” Common chemicals in fire retardants are Boric Acid , Antimony and Decabromodiphenyl Oxide. How can you limit exposure to the off gassing of your mattress? In order to limit your exposure to these harmful chemicals the best solution is to avoid buying a mattress that use these toxic ingredients. 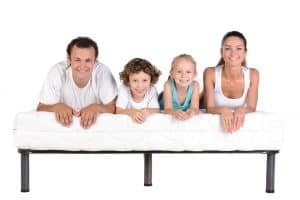 For instance, instead of buying a mattress with polyurethane foam, opt for an all natural-latex mattress or a mattress that uses organic cotton in the comfort layer instead of polyurethane foam. Also, avoid a mattress that uses chemical fire retardants. 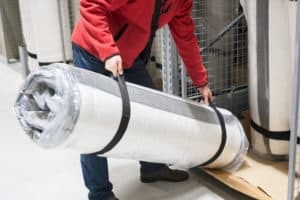 Your mattress can still be fire safe by using all-natural wool as the fire barrier or having the inner part of the mattress wrapped in a kevlar sock. If it’s too late and you already bought a mattress with these harmful chemicals and the smell is unbearable then a good way to get rid of the odor is let the mattress sit outside under the sun’s rays for a few hours. If you can’t get the mattress outside, open all the windows to the bedroom and remove all bed sheets and get it as close to direct sunlight as possible. This solution is more for odor control and doesn’t completely eliminate those harmful chemicals already in the mattress. If you have found this info helpful and are now paranoid on what you are sleeping on please click the share button below. Because we all know it’s not fun being paranoid alone. Is the Pope Catholic? No just kidding… it all depends. If your mattress looks anything like the picture listed in this article then the answer is a definite yes. If it doesn’t then what you will want to do is evaluate how your body feels after a night’s rest. Are you waking up with aches … Read moreDo I Need A New Mattress?